← Congratulations to today’s winner of a $200 Fry’s gift card! Stop by the SBE booth, L29, for your chance to win a gift card to Fry’s Electronics. 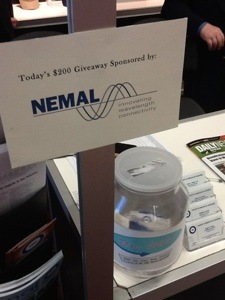 Today’s booth drawing is sponsored by Nemal Electronics. What would you do with $200 to Fry’s?